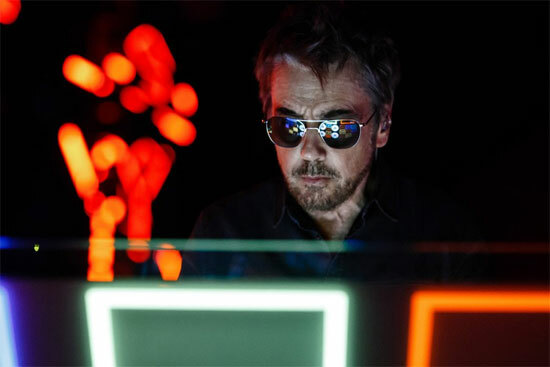 A pioneer in electronic music, French composer-performer Jean-Michel Jarre is as well-known for his stage spectaculars as for his innovations in ambient and new age music. Though he has always embraced new technology – from his earliest projects, his musical tools included synthesizers and drum machines – he remains wary of some of the uses to which technology can be applied. Jarre’s breakthrough album was 1976’s Oxygène; it was a massive success in his native France as well as the UK, and did reasonably well on the U.S. charts (#78). While he would go on to release nearly 20 more albums over the following decades, the musical concepts and themes of Oxygène would continue to inspire him. Jarre released a sequel (Oxygène 2) in 1997, and the third installment in the trilogy in 2016. Oxygène 3 represents a modern technology take on Jarre’s original minimalist ideas.